More " Football Jumpers" are imminent with the defection from NRL and Rugby Union to AFL by high profile players Israel Folau and Karmichael Hunt . AFL Coaches Mick Malthouse and Brad Scott believe it will be a successful transition and will encourage other players to change codes. Former AFL player Sydney Swan Nick Davis who thought about converting to NRL from AFL in 2006 states that Rugby players train as hard as the AFL . Supporters of both codes are confident the kicking skills needed in AFL can be learnt over a six month period. To be a good kick you need a good technique, which can be taught. With the switch of players from NRL to AFL it poses the question will the switch work the other way ? Can we expect to see AFL players convert to play NRL ? Some things don't change . 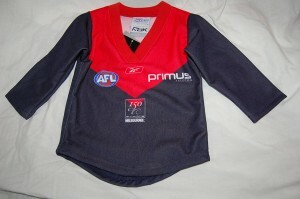 All players , whatever code , will wear their football jumper , jersey , guernsey to play the game in their team's colours. 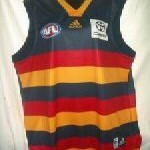 A new " Melbourne " team ?